My husband has a bad reaction to the juniper and some other greenery around our house. Couple of my boys react to the plants, too. Hope you’re feeling better soon. Try some benedryl to help. I remember when I was the non-medical facilitator for my (now disbanded) Crohn’s support group, one man was always into alternative meds–to a fault–and he would praise stinging nettle tea as a cure-all. Now, maybe if someone else did the harvesting and distillation, nettles might provide a benefit, but you won’t me messing with them again–except with a hoe on a long pole. LOL. Thanks for your good wishes. I am feeling well now. Fingers are back to normal. 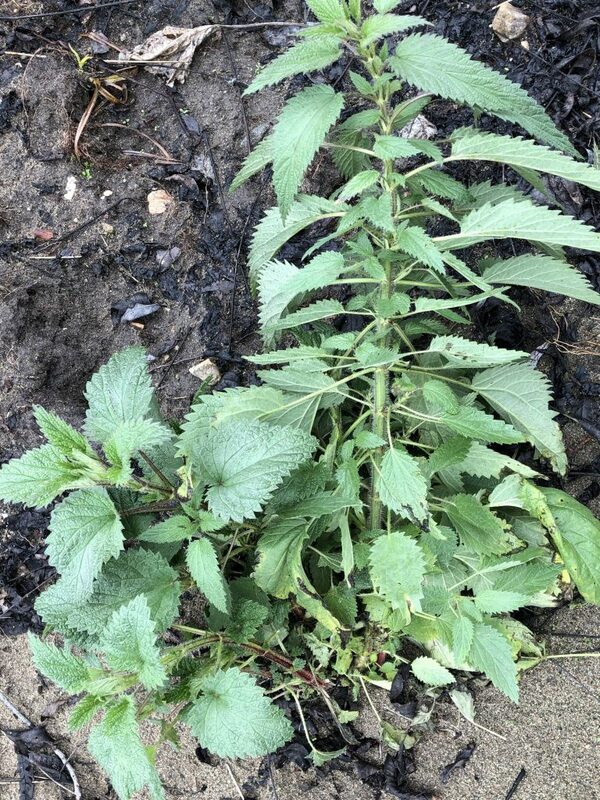 I’ve battled thos weeds too. Definitely not fun!! The page also discusses white berries, but that wasn’t part of the Rhyme I learned. WOW, Jen. I remember this problem happening to my nephews once when they were boys. My poor son is with Search and Rescue and they tramp through dense brush filled with poison oak all the time. He’s found a couple of things that help, but avoidance is by far the best idea. Thanks for sharing the other rhymes, too. I’d never heard them, but I plan to share with my son! He’s an old hand at identification, but it might help one or two of his new recruits.